I know I am not alone (at least I hope) when I say that I use wipes for everything. And I mean everything. Sometimes when I am waiting for Quinn to put on her own pajamas (because she just has to) I will take a wipe and "dust" her furniture with it. Two birds. One stone. That face needs a wipe. I have a pack of wipes in every room of the house and of course in my diaper bag. But the problem with those is that they are kept inside of my foldable changing pad thingy and I can never get to them. 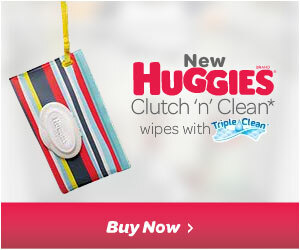 And I have no idea why no one ever thought of this before but the Huggies Clutch 'n' Clean wipes are a lifesaver. I took them to the park for our first adventure out, and I seriously carried my cross body and these wipes. That's all. I should go into my new love for cross body bags soon. The amount of butts and faces I wipe in a day is ridiculous. And thanks to a certain almost 4 year old's love for Nutella, that number has multiplied over the last couple of months. So having these Huggies wipes at a moments reach has been insanely convenient. Am I the only one that uses wipes for so many things?! And please don't even get me started on the cuteness of the patterns. I let Quinn pick this one out and to be honest, she likes carrying this more than I do! Because she is total into purses and nail polish and lotions and omg hold me during the teenage years. She now gets excited whenever a wipe situation pops up. 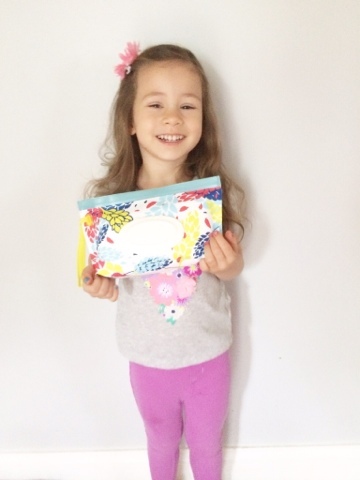 So check out the new Clutch 'n' Clean wipes on your next shopping trip, I promise you, you will not be sorry! This post is sponsored by Huggies Clutch 'n' Clean Wipes. All opinions and absolute love of this product my own!